Summer in Atlanta is always delightful—for those who enjoy the heat, anyways—but after a few weeks of lounging around one may find themselves desperate for some fun things to fill the time. Fortunately, the film scene in Atlanta never sleeps, and the summer brings a diverse and unending array of festivals and events to sate one’s cinematic appetite. 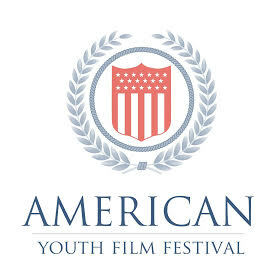 For those interested in non-traditional film festivals, the American Youth Film Festival might appeal to one’s inner child. According to festival Director Lyndon Burch, the festival is open to students from elementary school through college. “It was conceived to give students, mainly Georgia students, the opportunity to showcase their films,” Burch said. However the festival has reach far beyond Georgia borders. “Over the last three years we have had submissions from 34 or 35 states, and 12 foreign countries,” including Belgium, Portugal, China and Canada, Burch said. Burch is particularly interested in creating a festival that makes room for students to grow as storytellers and think about possible careers in the industry. “It opens the door for child actors, it opens the door for behind the scenes as well as in front of the camera,” Burch said. The festival also incorporates workshops to help the kids grow, focusing on things like acting and how to break into the industry. “Last year all the kids in attendance were able to get a headshot. So that inspires them, or gives them the opportunity to say, ‘Maybe this is something I want to do,” Burch said. Adults are only allowed to help out in an advisory capacity, so it’s an all-kid affair. Of course, all ages are welcome to attend, as it’s a family friendly event. The festival will be June 8th-10th at the Atlanta Metropolitan State College. The Southern-Fried Gameroom Expo, a yearly fan convention for gaming, is kicking it up a notch this year with their veryown film festival. 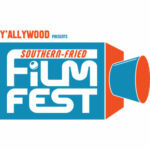 Festival Co-Director Ruti Jones organizes the Y’allywood Film Festival, and the Y’allywood team paired up with Southern-Fried to bring a full-on film fest to the con this year. “The focus of the festival is essentially independently made genre films that have been made in the south east. So it’s sci-fi, it’s action, and retro and game-themed. Tabletop, pinball, arcade, everything,” Jones said. Jones emphasized the student friendly vibe of the fest. “I feel like it’s something that’s definitely in the wheelhouse for most students, since gaming is a big part of most young people’s lives… It’s just all around fun, and there’s so much to do. You can go and play games at your own pace, and then take a break and sit down and watch a movie,” Jones said. The fest is part of the con, so it requires a weekend or day pass to the whole event, which will be held at the Marriott Renaissance Waverly, June 9th-11th. The Atlanta Shortsfest will be returning for its eighth year this summer. The Shortsfest shows films of all genres under 45 minutes long (aka short films). The website provides examples of previous years’ schedules and films so you can try a taste before buying your ticket. Atlanta Shortsfest will be held July 7th and 8th at Synchronicity Theater in Midtown. Independent film lovers rejoice! The 14th annual Atlanta Underground Film Festival (AUFF) is coming back for two days of movies. AUFF screens films and video work by “DIY” and “grass-roots” artists, focusing on pieces that ignore boundaries and spin out something new and different. It’s “a non-stop party celebrating short and feature films in a down-to-earth, welcoming setting where filmmakers and fans are encouraged to connect and collaborate,” according to their website. Thus AUFF is great for movie makers and lovers alike. AUFF will be at Synchronicity Theater, August 18th-20th. Theater screens “The Rocky Horror Picture Show” every Friday at midnight. Summer is also great for a trip to the Starlight Drive In, and surely many more movie opportunities will pop up as summer rolls along.